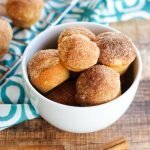 Surprise the kids this weekend by making them their favorite cinnamon sugar buttermilk muffins for breakfast. 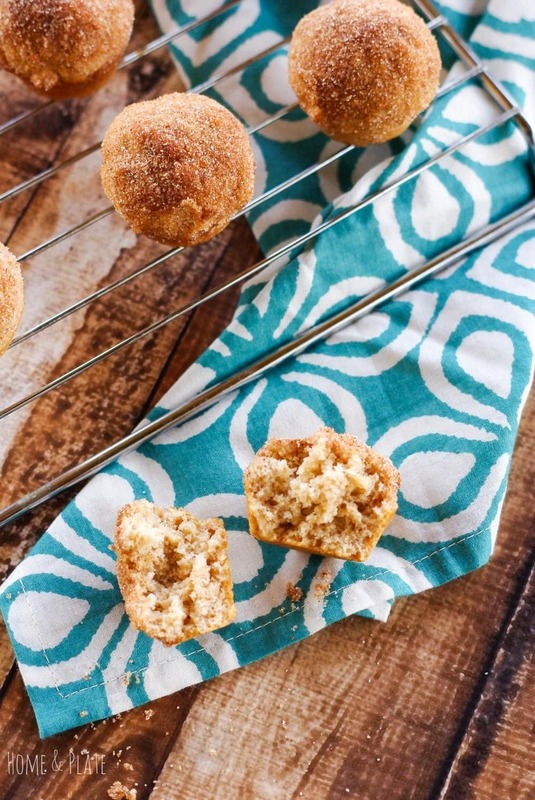 Better than store-bought because they taste just like a donut, dipped in butter and coated in cinnamon and sugar. Breakfast can’t get any better than that! Muffins are all the rage in my house on the weekends because anything is better than a cold bowl of cereal. Right? And if it’s sweet and involves sugar my kids are all for it. 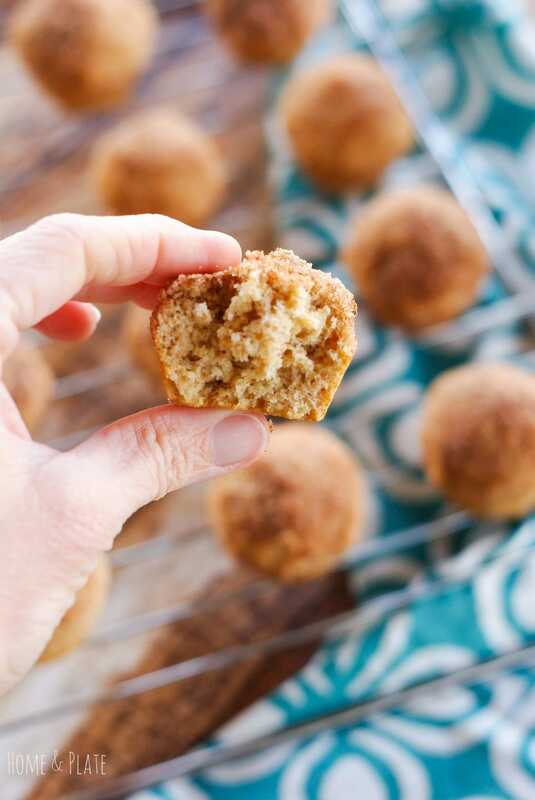 These cinnamon sugar buttermilk mini muffins are a great companion to frosty cold glass of milk and are easy to just pop in your mouth. I promise you’ll eat more than one. Our dog barks like clockwork every morning around 7 AM. He’s up so why shouldn’t everyone else in the house be up too. Saturdays are no exception. With plenty of time to make these fresh from scratch while the rest of the household is sleeping, I get to work in the kitchen. I even have a few furry helpers who are more than willing to help vacuum any crumbs that might fall to the floor. Sometimes getting an hour to myself on a weekend morning is ideal. It’s time to enjoy my coffee while the muffins are baking, read the newspaper and enjoy a little quiet time to myself. 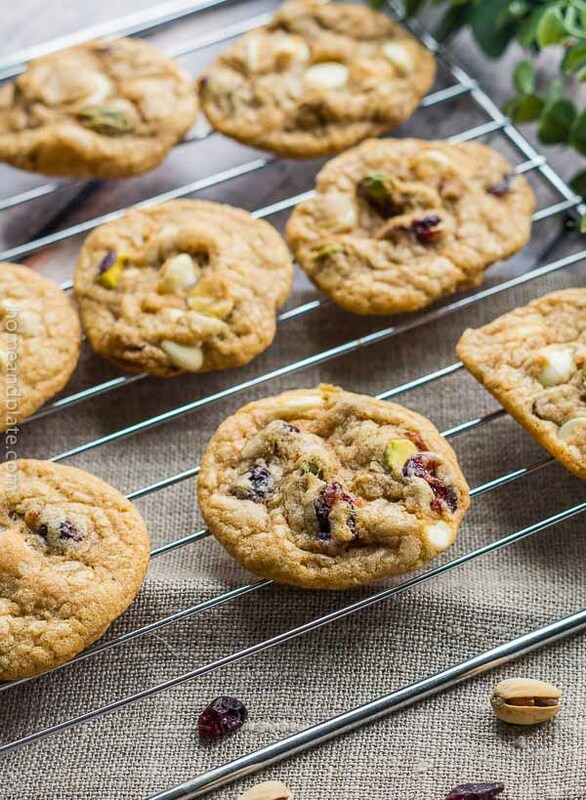 For this recipe I used a mini muffin pan. You can also use a regular muffin pan and simply adjust the cooking time. I’ve also been known to use a combination of both white and wheat flours for this recipe. The key to soft moist muffins is the buttermilk. If you don’t have it you can use regular milk in place of the buttermilk and simply add 2 teaspoons of white vinegar or lemon juice to the milk. When using buttermilk in a muffin recipe, you will usually find baking powder listed alongside. That’s because baking powder is an alkaline leavener that reacts with the acidity in buttermilk. While baking, the resulting carbon dioxide bubbles expand in the heat of the oven, creating steam that helps produce rounded, moist muffins. These muffins take almost no time in the oven and are ready in half an hour’s time. 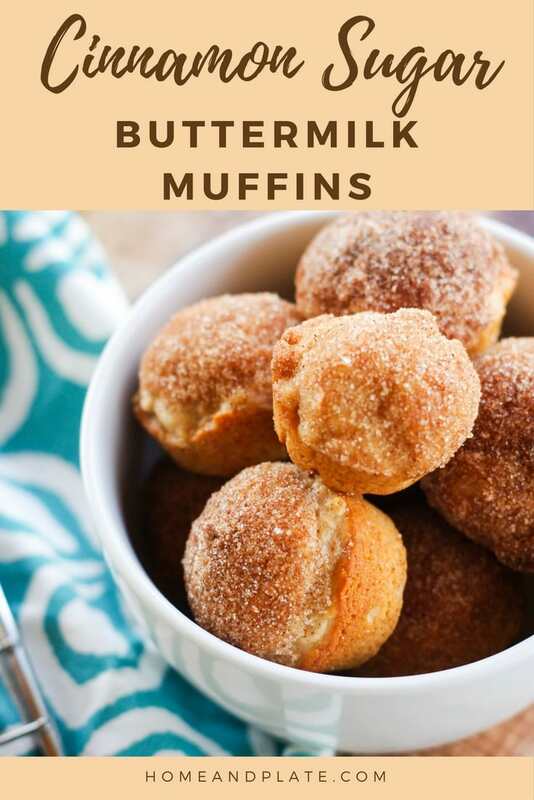 A quick dunk in melted butter and a dip in some cinnamon sugar and these muffins are ready to be served. Preheat the oven to 350°F. Spray a mini muffin pan with cooking spray. Using a mixer, mix together the flour, baking powder, salt, nutmeg, cinnamon and sugar. Add in the egg, oil and buttermilk and beat slowly until combined. Scoop a spoonful of batter into each muffin hole. Bake for 20 minutes. While baking melt the butter in one bowl and prepare the cinnamon and sugar and the other. Remove the pan from the oven and allow to cool for five minutes before removing the mini muffins from the pan. Dip the tops of each mini muffin into the melted butter and then into the cinnamon sugar until well coated. Serve. Oh what I would do for a big bowl of these. Perfect with a coffee. Yes…when you find that volunteer send them my way. Thanks Joyce. 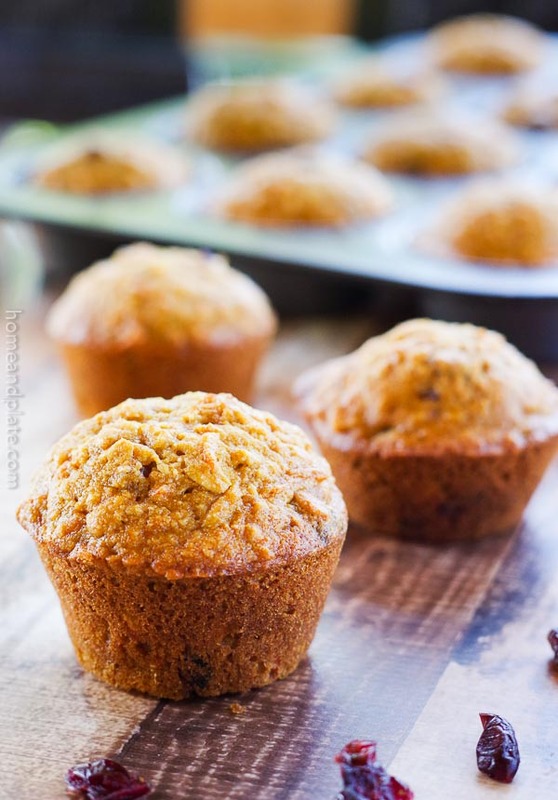 I feel the same way – I would way rather have muffins than cold cereal! 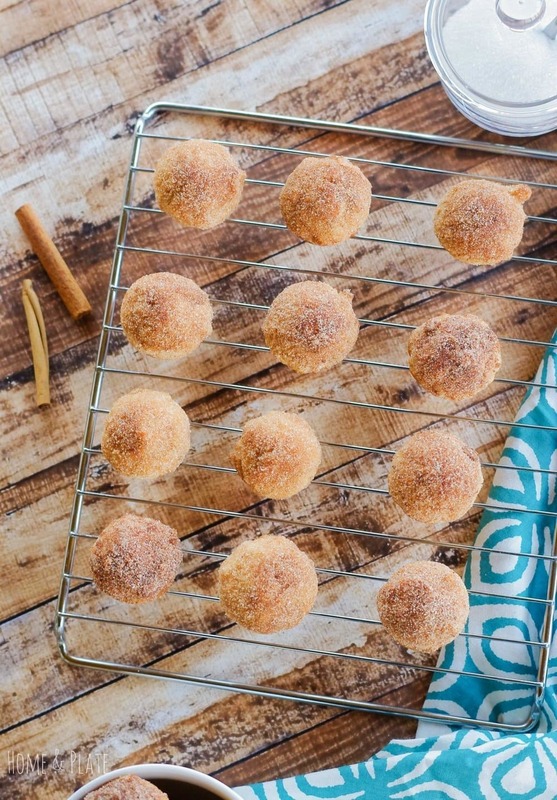 The cinnamon sugar topping on these is just perfection! 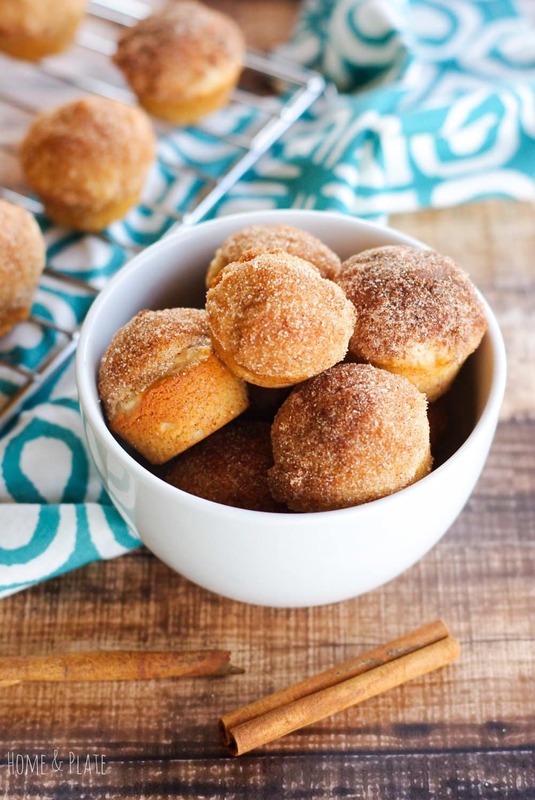 Anything with cinnamon is a big yes! These muffins sound like a perfect start to a day. The texture of these muffins is so light! I love that you really coat the muffin tops rather than dusting or sprinkling the cinnamon sugar. As mentioned above in the recipe, you use baking powder. Is this correct, or should I use baking soda? Should the canola oil be added to the mixture? Yes…it was an omission on my part. Yes add it to the mixture. I have adjusted the recipe. Thanks so much.